McGinnis and Associates is a leader in helping Tribes increase their environmental capability. This often begins with grant writing for specific Tribal environmental programs through EPA, BIA, BOR, USFW and private sources. Our company then works with Tribes to establish monitoring and habitat rehabilitation along with planning and permitting documents. 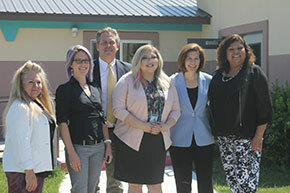 As programs mature, McGinnis and Associates works with Tribes to achieve Treatment as a State status for both other grant programs such as CWA 106 and development of Tribal Environmental Ordinances.